Gandharva Veda is the eternal music of nature, used to create balance in nature and peace in the world. 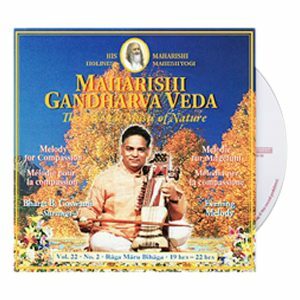 Available on Compact Disc and cassette, Maharishi Gandharva Veda is music in tune with natural law. It uses sound, melody, and rhythm to restore balance and harmony in mind, body, behaviour, and environment. These beautiful melodies have been recorded for you by the finest Gandharva Veda musicians in India. 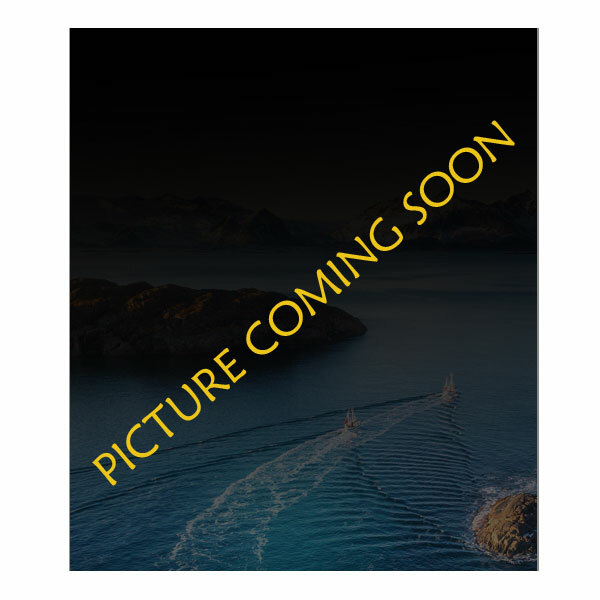 Each set of recordings contains melodies appropriate to different times of the day. Now, under the guidance of His Holiness Maharishi Mahesh Yogi, many of India’s most renowned musicians have joined in a world-wide revival of this eternal music of nature, enlivening its power to create balance in the individual and the environment. 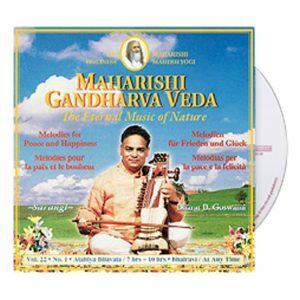 By playing Maharishi Gandharva Veda music you can join in the creation of a new atmosphere of peace, harmony, and joy for yourself, your family, and the world. Gandharva Veda music is the eternal music of nature – the rhythms and melodies of nature expressed as music. If you could hear the changing frequencies present at the first awakening of the dawn, in the dynamics of midday, or in the deep silence of midnight, you would be hearing the frequencies of Gandharva Veda music. These sublime melodies neutralize stress and disharmony in the environment, and gently restore biological rhythms by attuning the physiology to the cycles of nature that underlie each hour of the day and each season of the year. The knowledge of when to play each melody is based on three-hour periods called Praharas which correspond to the changing frequencies of nature throughout the day. 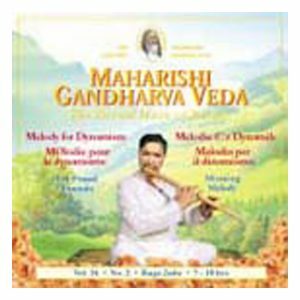 Maharishi Gandharva Veda provides music to create balance in the environment throughout the eight Praharas of the day – Sunrise, Morning, Midday, Afternoon, Sunset, Evening, Midnight and Late Night. 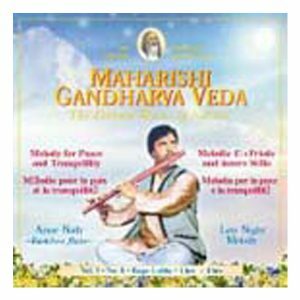 Please note: Gandharva Veda samples are in mp3 format. You will require a media player such as Windows Media Player or RealPlayer to listen to them. These ragas can be enjoyed at any time of the day or night. 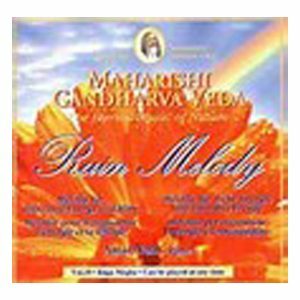 The most popular is the Rain Melody, which helps to bring rain in areas of drought.